There is much more to the Oleson family, but this is where I'm going to start out: The Oleson name itself is only in its fourth generation, having been created by my great-grandfather when he came to America. Jonas Olaf Oleson came to the United States in the mid-nineteenth century. He was the son of Ole Knudsen and Sarah Sofie Jonasdatter in Osteweg, Kopervik, Norway. Jonas was a machinist in Chicago until he lost his possessions in the Chicago Fire in 1871; he then made a fresh start as a professional photographer. 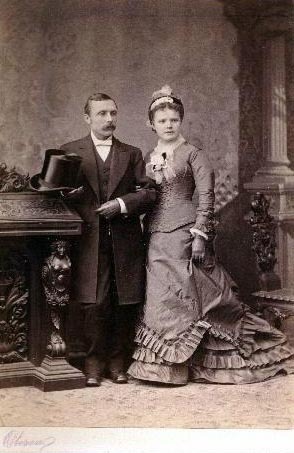 The photo above, of Jonas and his wife, Bertha, was made in his studio and bears the Oleson studio imprint at the lower left. If you have any photos bearing the imprint of the Oleson Studio in Chicago, DeKalb, or Lee, Illinois, please email me. My grandfather was Chester G. Oleson; this photo is on his father's studio imprint. He was a painter of pianos, boats and cars during the first half of this century. He died in 1958, when he was 72 and I was 5. 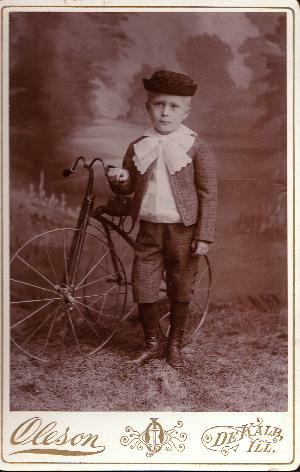 Grandpa had a cousin whose last name, owing to the informal nature of names in Norway, turned out to be Osteweg rather than Oleson. 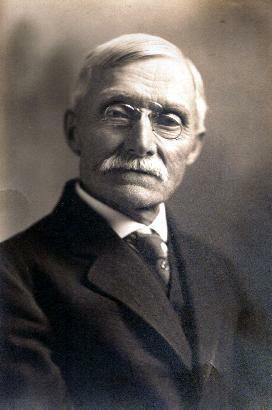 Swan Osteweg also came to America, and became an automobile dealer before World War I. In 1916, Swan modified one of his Apperson Jackrabbit cars and entered it in the Indianapolis 500; it finished in 10th place. 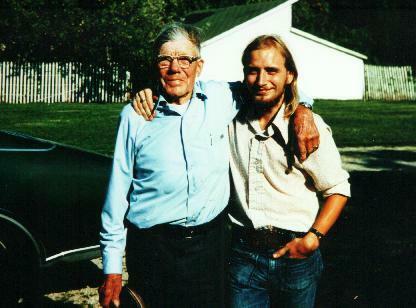 This is a photo of me with Swan in 1975, when he was 92. He showed me the flywheel lathe that he had used to modify the engine for the Indy race... still in the barn at his orchard in Illinois. More about that here. 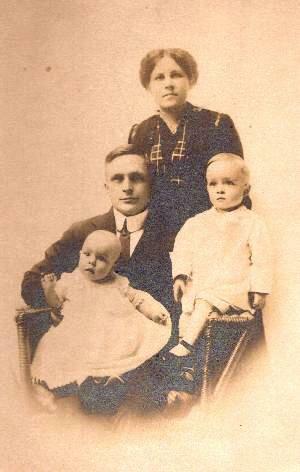 This photo was unmarked but appears to be my grandfather and grandmother with their first two children, my father and Aunt Marrian. Grandmother's maiden name was Dorothy Allen; Revolutionary War hero Ethan Allen was one of her ancestors. My father, Chester R. Oleson, attended Northern Illinois State Teachers' College across the street from his parents' home... mainly because there was no work anyway in the Thirties, and tuition was pretty cheap. He met my mother in college, and the rest is family history. 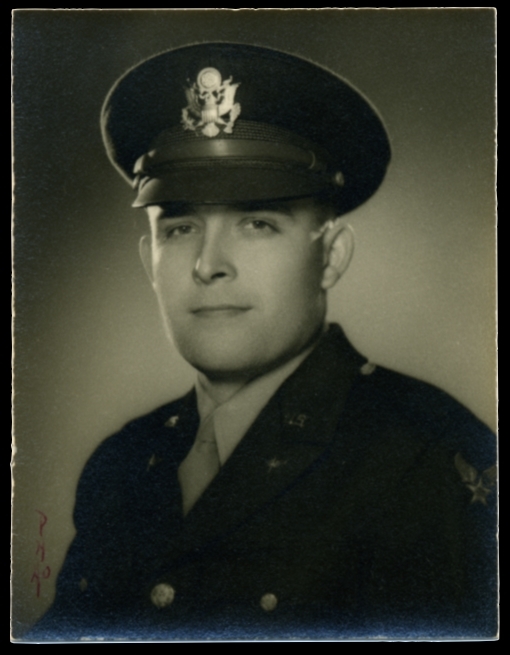 Dad enlisted in the Air Corps and served as a meteorologist in Chicago during World War II; he passed away in 1980. Dad was a fine craftsman and an avid target shooter. He combined these interests to create some unusually fine guns, some of which can be seen here.